However, he actually did study at school, receiving a curious economics degree. It was not traditional econ, but instead through UVA’s hybrid institute, the School of Rural Social Economics. It is now considered to be more an ancestor to the sociology department, but reading the materials produced by the institute back then show it was all about gathering actual, practical numbers and facts to help policy makers better understand rural America. I could see how he was there, as I am sure my grandfather, an M.B.A. who had a farm in Lancaster County, Virginia, would have been an avid admirer of Gee’s research work. Thanks to a bit of research, I found that leader of the school was Dr. Wilson Gee, a progressive but history loving South Carolinian who mixed fact gathering with a relentless optimism about the potential of the rural United States. Gee, a native of Union, S. C., attended Clemson Agricultural College, University of South Carolina and later received a PhD from the University of California. His fields crossed from biology to zoology, and even had stints as professor of biology at Emory. Just before Virginia, he was Prof. Rural Social Science, University of South Carolina. Gee came to UVA in the 1920s. He made a strong impression at UVA in 1922, when he offered a summer course in Rural Economics as a replacement for what had apparently been a yearly Rural Life Conference. That first summer, his students undertook a full economic and social survey of Albemarle County. The detail in that survey is encyclopedic and revolutionary, discussing even the practical economic particulars of soil, weather, and even how many months a cow could be outside. One fascinating tidbit: In 1922 there were 249 Mormons in Albemarle. 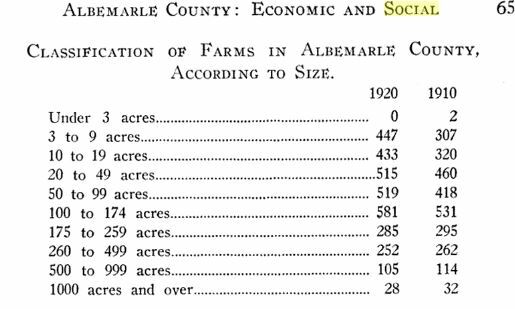 Statistics on farms in Albemarle will make you sad; back in 1922 there were over 500 farms between 100 and 200 acres. After this success, Gee was offered and became a professor at UVA in 1923, his position formally titled Professor of Rural Economics and Rural Sociology. His books and topics were fascinating, including studies of rural depopulation in Virginia’s Tidewater and Piedmont, rural-urban heroism in war, and grand surveys of the place of agriculture in American life. Gee was beloved by intellectuals in Virginia, who appreciated his interest and study on the relationship between economic conditions and weather, for instance. There were also many not as groundbreaking (but nevertheless essential) research papers and books for the United States Department of Agriculture on soil conservation and the like. He also worked with Charles Galpin, a progressive agricultural researcher in Wisconsin who helped promote the idea of America’s Dairyland and who was considered a pioneer in the field of rural economics. Gee was a one-man writing and content machine, mixing pop history and scholarship. 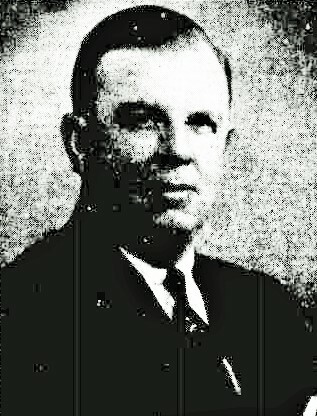 His 1918 survey of South Carolina Botanists, a copy of which is now in Alderman Library, was merely a compilation of Sunday newspaper stories he collected for The Sunday News of Charleston. It includes profiles of John Lawson, Mark Catesby, Alexander Garden, William Bartram, Thomas Walter, John Drayton, John L.E.W. Schecut and others. Virginius Dabney of the Richmond Times-Dispatch and Douglas Southall Freeman of the News-Leader both praised Dr. Gee’s best known work, the University of Virginia News Letter. Dr. Edwin Alderman proposed the News Letter as a sort of public policy op-ed, in 24 editions a year. It began in 1925, and detailed all manner of issues, including the controversial. However, for my father there was one message that Gee left him with, that stuck with him today, in 2017, over 60 years later. To paraphrase, the United States is a rich country, even if we have nothing else but our land. Our farms and agriculture, worked properly and carefully, can provide riches for us, beyond measure, in health and well-being, as well as a decent, fair living. Compared to Europe, Africa and Asia, there is an abundance here, but we have have to work hard and make good use of it. To paraphrase: Nobody can defeat us because we have food. We will never run out of food. As my father said in 2017 when he talked to me about the School of Rural Economics, “That was a pretty good message at the time.” And still is, if we work hard enough. Gee died in 1961, at age 72. Gee’s son, Williford Gaston Gee, died in 2004 in Denmark, South Carolina. Gaston Gee had served in Gen. Patton’s 4th Armored Division, and was an Episcopal churchman, Farm Bureau leader and retired dairy farmer. To which we presume, he must have been a pretty gone one.